Autism affects all ethnicities, yet professionals do not always have the skills required to support the diverse needs of autistic young people and their families from different communities. As a result, families from these communities often experience issues in getting a diagnosis, access to educational and social care settings, appropriateness of social skills being taught to children, and misinterpretation of behaviour exhibited by these children, which can also lead to higher rates of exclusions. This innovative book provides professionals with knowledge about the issues faced and equips them with practical strategies to resolve them. 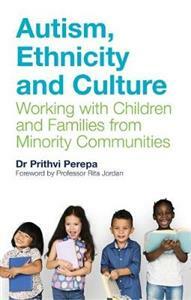 Drawing on his extensive experience and research, Perepa combines a comprehensive overview of autism and minority ethnic communities with guidance on how best to support children and young people from these communities. An essential resource for professionals working in our increasingly multicultural society.